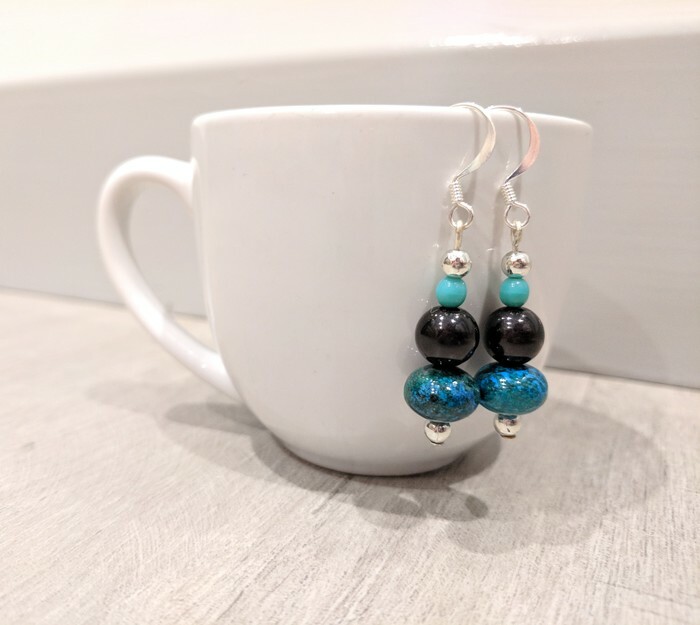 Stunning drop earrings featuring Chrysocolla gemstone rondelle beads mixed with acrylic and silver plated rounds. Silver plated findings. Earrings measure approximately 2.5 cm from the base of the hook.